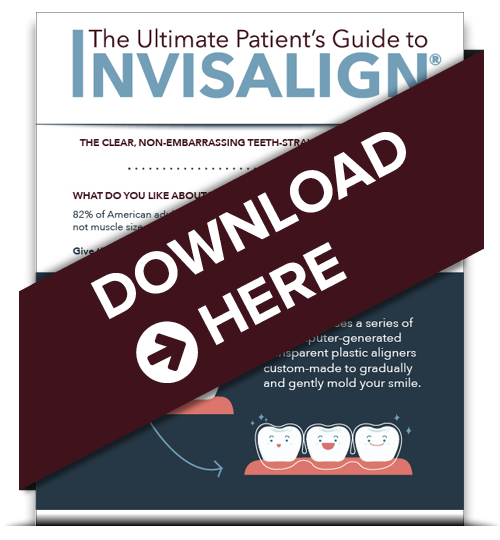 Everything You Wanted to Know About Invisalign® and More! We are passionate about educating our patients about how to protect their dental health. We want to explain clearly and simply what you need to know to make good dental health decisions for you and your family. As part of this effort, we love providing you with easy-to-use digital tools that will give you the information you need in a clear, understandable, and fun way. What you can expect to experience during the Invisalign® process with relation to pain, time involved and cost. Invisalign® is not always the right solution for everyone, so how do you know it’s right for you? Invisalign® treatment is actually important in our effort to protect all of your teeth, even the healthy ones. How? If you still have questions after checking out your download, we would love to answer them! Just call us at (951)925-6596 or contact us online.